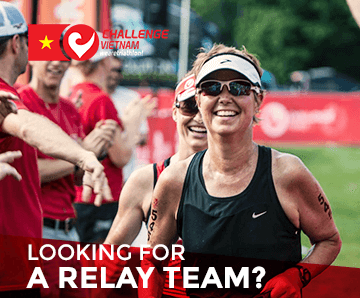 Challenge Vietnam is coming to Nha Trang on September 11, 2016. This being a triathlon means that participants will have to swim 1.9 km, bike 90 km and run 21 km with transitions as their only rest in between. This is a tough competition that requires quite a lot of training. 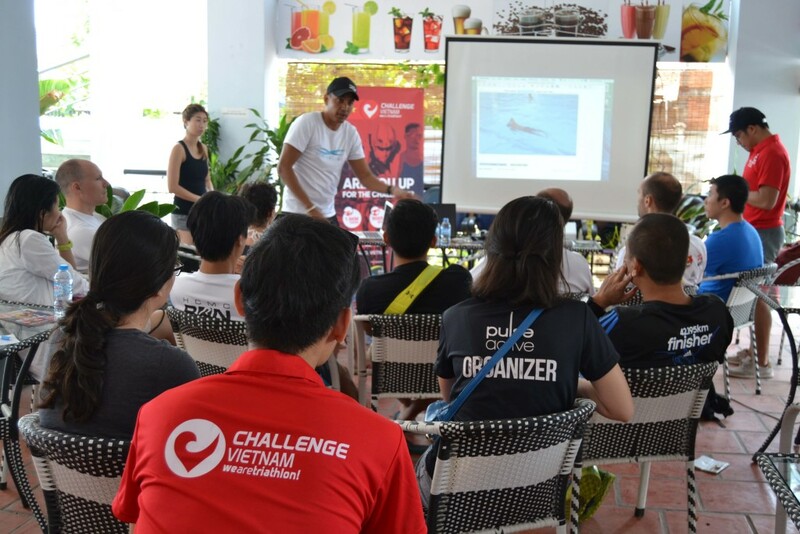 We want you perform your best on race day that’s why we are organizing several workshops in HCMC to help you do that. The first workshop was dedicated to master our swimming techniques. It was held on March 5 in Hồ bơi An Phú, in Thao Dien. The class was handled by the coach Al Gonzales who flew all the way from the Philippines. He got his swimming teacher’s certificate from Total Immersion New York in 2003 and has been teaching for 13 years. He has conducted Workshops in the United States, Austria, Malaysia, Hong Kong, Singapore, and the Philippines. He definitely showed all this experience during the session. He was able to connect with the athletes, spoke very clearly; he was able to analyze each of the swimmers’ techniques and gave each one feedback and suggestions on how to improve their swim stroke. We started the session with brief introduction and presentation of each participant. We talked about their swimming background and triathlon background, their concerns with swimming for triathlon and injuries that may affect their swimming, such as shoulder pain or asthma. After that, we switched to the swimming pool where we starting filming underwater and at surface level. 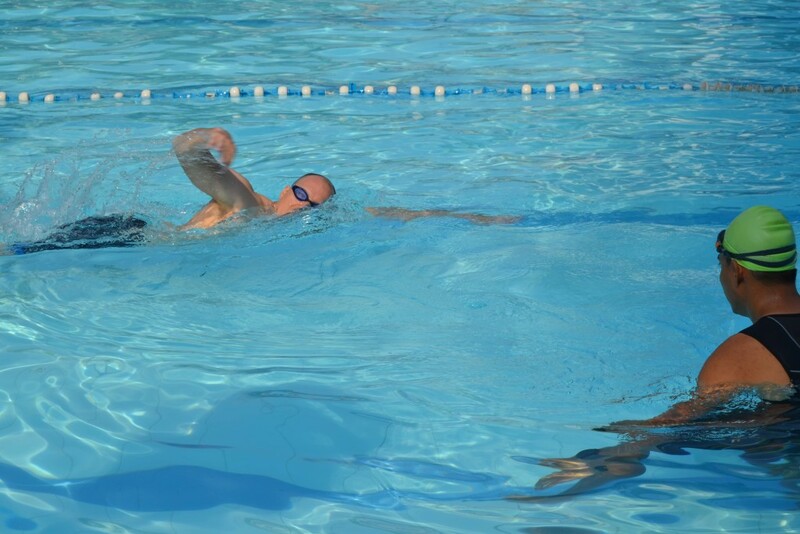 The athletes were made to swim one length at normal speed and another lap at all out speed. We then had several lessons on the pool; introduction of swimming drills, balance in the water, superman glide, kicking, skating, proper arm recovery and timing among others. Before coming back to the “class” area, we filmed the swimmers again to compare the before and after. Upon getting out of the water and returning to the “class” area we analyzed ourselves by watching the videos and the coach giving more technical comments. We have more plans up our sleeve but we can’t reveal the details just yet, but do get ready for another really useful session which will make your life as a triathlete a bit easier.